Every year, political mudslinging transpires with great urgency on June 26 — to mark the anniversary of the Emergency imposed in 1975. But this time around, it was a notch above normal. The BJP issued advertisements criticising the Emergency and the Congress, Prime Minister Narendra Modi launched an attack on the Congress at a rally in Mumbai, finance minister Arun Jaitley wrote three blogs and compared Indira Gandhi with Hitler, and vice-president Venkaiah Naidu, wrote an opinion piece and proclaimed that this generation wouldn’t tolerate anything of the kind. The reasons behind the overt focus are not mysterious. The 2019 Lok Sabha elections are around the corner. An astute party like the BJP wouldn’t let go a chance to tarnish the Congress’ image. The BJP knows that the tried-and-tested method of attack is the best form of defence. Comparing Indira with Hitler made the Congress respond to it, and the BJP set the narrative. 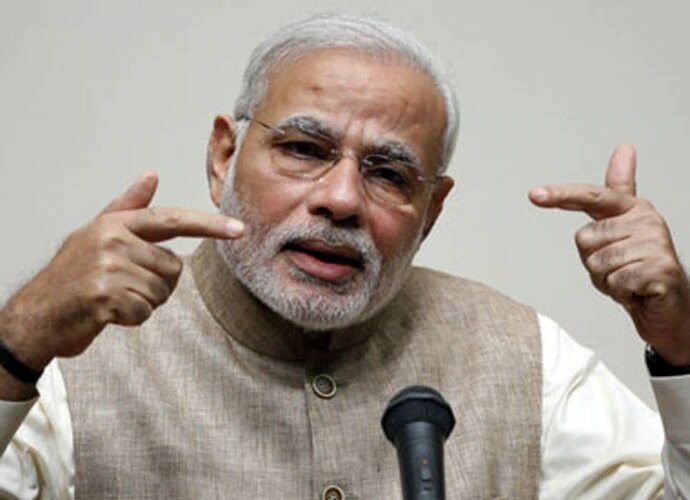 Narendra Modi: Attack is the best form of defence. However, who gave the BJP the opportunity to hijack the struggle against Emergency? Along with the Jana Sangh and the RSS, organisations and individuals opposing the Emergency included socialists, the Syndicate Congress, the Marxist communists and so on. Sarvoday activist Prabhakar Sharma had even immolated himself in protest against Indira's Emergency. Thousands of political activists were jailed. Young Turks in the Congress, Chandrashekhar, Mohan Dhariya, Krishna Kant were put behind bars. Senior Congress leaders like Babu Jagjivan Ram and Hemwati Nandan Bahuguna had quit the party before the historic 1977 elections. Then why is the RSS and the BJP seen as the major force behind resisting the Emergency? In fact, during the twilight of the Emergency, the then RSS chief, Balasaheb Deoras, had even written apology letters to Indira. Several RSS workers walked out of jail after issuing apologies. Atal Bihari Vajpayee also agreed to all government terms before walking out on parole, which was disclosed by Subramanian Swamy in an article written in 2000. How did the BJP succeed in brushing these facts under the carpet? The guilty conscience of the Congress and every other political party opposing the BJP is responsible for it. During the 60-odd years of being in power, the Congress made several mistakes. Ghosts of the 1984 riots still haunt the grand old party. And its own position on the Emergency, even after all these years, remains ambiguous. Indira Gandhi later regretted the excesses during the Emergency, at a rally in Yavatmal (Maharashtra) in 1978 , but the public perception is that the party has never condemned it unequivocally. In fact, on Sanjay Gandhi’s birth anniversary, the Congress Twitter handle paid tribute to the “visionary” leader. Shashi Tharoor has repeatedly called for an apology from Britain for the colonial exploitation. Why, then, can’t his own party unequivocally condemn the Emergency on June 26? Even the Pope has expressed regrets regarding the excesses of the church in the past. Had the Congress too apologised for the Emergency, it would have rid itself of the guilty conscience. But the leadership needs to have a big heart for that, which they lack. The party is still not ready to accept the Emergency as a black chapter in the history of Independent India. On the contrary, their supporters peddle propaganda of “anarchy” by Indira’s opponents, which “compelled” her to do what she did. Had the Opposition leaders not come together, Indira and Sanjay Gandhi would have continued their reign of terror for a few more years. The Shah Commission has disputed the theory, and there is enough evidence to show she did it to save her own chair after the Allahabad High Court annulled her election. The anti-incumbency against her had peaked due to corruption and inflation. And Jayaprakash Narayan (JP ) rode the wave brilliantly, asking for her resignation. To get out of it, Indira decided to strangle the fundamental rights of the people. Authoritarian leaders often blame the Opposition for their own wrongdoings. Indira did exactly that. For the past 43 years, the Congress has been propagating that JP asked the police and the Army to disobey Indira’s orders. And rather successfully. However, JP had asked the force to disobey unconstitutional orders. How is it wrong to appeal to the law enforcement agencies to abide by the law of the land? Even Rahul Gandhi can say it if he feels Modi is misusing the police. In this rally, JP, according to a myth spread by Congress cheerleaders, appealed to the people to capsise the government. But he was no Bal Thackeray or Akbaruddin Owaisi. JP had stressed that Indira had no moral right to stay on as PM, and that she should resign. There was another conspiracy theory spread by Indira supporters. That JP was a "CIA agent" and an international plot was being hatched to destabilise Indira. This theory was so hilarious, it did not resonate among the citizenry, and does not deserve more than two lines in this piece either. In fact, there was international pressure on Indira, but to lift the Emergency. JP is also often accused to legitimising the RSS. First of all, it was Ram Manohar Lohia, who tried to bring together all anti-Congress parties in 1967. That was the need of the hour. Just like today, where the only way the BJP stands challenged is if the Opposition parties unite. 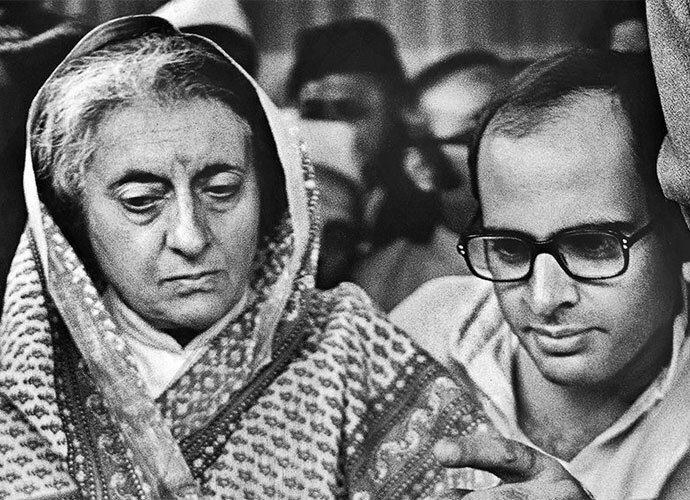 During the Emergency, Indira jailed her opponents and that proximity lead to a culmination — the Janata Party. Had the Opposition leaders not come together, people would have had to tolerate the excesses of Indira and Sanjay Gandhi for a few more years. The RSS received genuine legitimacy during the Rajiv Gandhi years. In 1984, the BJP managed only two seats in the general elections. The lifeline, however, to gain mileage was the reversal of Shah Bano judgment, which led to the Ram Janmabhoomi agitation. By allowing to conduct Shilanyas, Rajiv Gandhi helped them further. After that, there was no looking back for the BJP. The Congress, therefore, can be blamed for the rise of the BJP. The only way the Congress can claim to fight fascism is to first openly admit its past mistakes. In fact, socialists and Marxist communists should also wear their resistance against the Emergency as a badge of honour. But, staying true to democracy, the BJP has even hijacked their agenda. The steady decline of the two is responsible for it. Low on confidence, they even carry their own achievements as a burden today. This entire situation is worrisome. There is no dearth of common citizens who believe in democracy. Why should we expect only political parties to fight authoritarianism? Not a single party in India has the moral right. Deification of a leader has superseded the ideology of the party. Yesterday it was "Indira is India"; today, it is "Har Har Modi". Mass sterilisations took a huge toll on the poor Muslims, OBCs and Dalits during Indira’s regime. Cow terrorism is persecuting the Muslims during Modi’s. Dalits are being harassed even today. Political opponents have not been picked up and jailed en-mass so far, like it happened during the Indira's Emergency, but selected activists have been charged with being Naxals for standing up to suppression of dissent. The credibility of the judiciary has taken a hit,there are accusations of media being censored and a section of it is already crawling. The middle class has remained consistently indifferent. There is no end to the debate between "your" Emergency and "my" emergency. The need of the hour is to oppose the draconian idea behind the Emergency, irrespective of whether it is declared or undeclared.